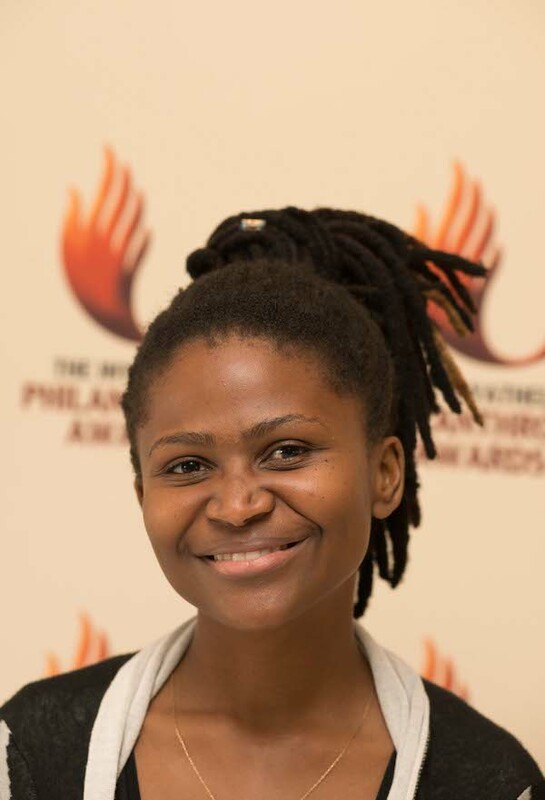 Attorney and CEO of the Dream Factory Foundation, Lusanda Gwayi, is the recipient of the 2016 Inyathelo Award for Philanthropy in Education. Lusanda started the Dream Factory Foundation four years ago when she was called to full-time ministry and through that process got to work with young people across the whole Western Cape. The lack of facilities, the limited resources and the conditions under which young people had to undertake their learning both at school and within their communities inspired her to start the Dream Factory Foundation – a space wehre young people are inspired to be. The Dream Factory Foundation works with young people to help them articulate their dreams and make plans for how to achieve them. The organisation helps to bring the young dreamers into contact with practical ways in which they can start interacting with and learning about what it might be like to fulfill their dreams. Currently the organisation works with ten schools in the Western Cape, focusing on grade nine and ten learners, as this is the point within the school career where learners have to make decisions about the academic paths they will pursue to graduation. Several programmes are run throughout the year. The dream programme where learners articulate what they would like to do with their lives and the Dream Factory Foundation team work toward helping them experience, for example, a day in the life of a pilot, or a talk by a nursing sister. A coding programme that teaches young people how to code. Lusanda explains that coding allows young people to see a problem, think about how to solve it and then work out a solution. It is a skill that teaches higher skills of conceptualization, problem solving, patience and mechanisms for responding to failure and success. Coding initiatives are run at schools in the Western Cape and the Eastern Cape. An after school tutoring programme helps learners improve their academic work. An internship programme takes on youth who have matriculated and who have had contact with the Foundation and has them come on board as interns for six months, helping in the schools and working with young people who are close to their own ages. A scholarship support programme for 4 learners – 1 in college and 3 in secondary school – that assists with fees, tutoring and life skills building. Over the last four years the organisations has been in contact with over 55,000 learners. Of those approximately 1,000 have been directly impacted by the programme. To date over 500 children have learned to code and 1,000 have grown in awareness, self-confidence and pride in who they are and what they are capable of achieving. When asked what her hope is for the children that come to the Dream Factory Foundation, Lusanda answers passionately. “My hope is that they lead purpose driven lives. My hope is that they master life, that they make a contribution to their families and that they find who they are meant to be with joy and boldness.